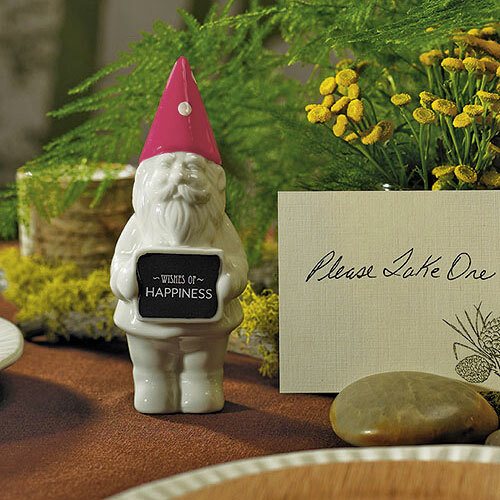 This tiny charmer will add a little magic to reception tables, centerpieces, guest favors and so much more! 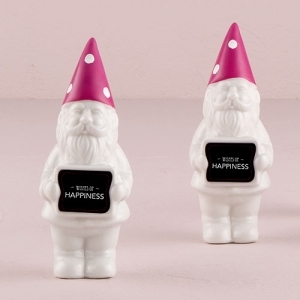 His sign grants "Wishes of Happiness" to everyone and his adorable demeanor is sure to bring countless smiles. Made of Porcelain.